The most successful venues are those that take pride in their appearance, both internally and externally. Especially for wedding venues, for instance, brides and grooms want to be wowed when they do their initial visit to your venue, so you need to make it easy for them to visualise holding their wedding with you. The whole appearance and ambience needs to be right, to make it a welcoming and inviting venue for the guests. You can achieve this stunning first impression from the very first moment – in fact, the point at which your guests drive up to your venue. For evening events and wedding receptions, our external illumination system provides a wonderful setting, enabling you to light up your special venue with different coloured, co-ordinated lights. Venue external temporary lighting is always popular, enabling you to differentiate your venue from the rest by adding that special, unique touch that wedding planners and corporate event organisers love. 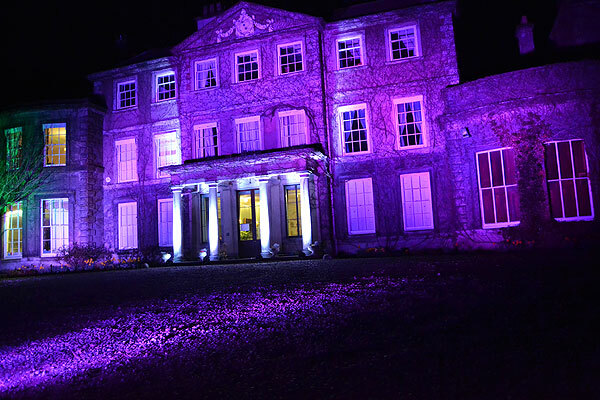 Contact Event Hire UK today to discuss your venue exterior lighting hire requirements – you’ll be amazed at what a difference it makes, helping you to promote your venue at its finest and, therefore, winning more business in the future.